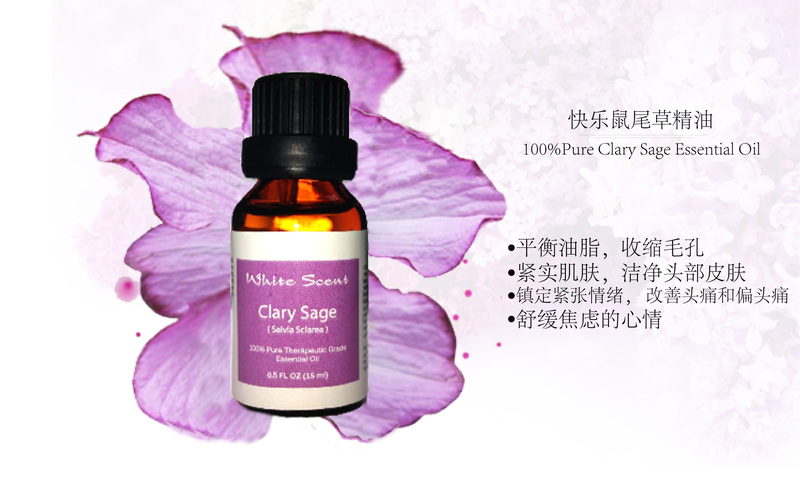 Clary Sage Essential Oil is extracted by steam distillation from the buds and leaves of the Clary Sage plant whose scientific name is Salvia Sclarea. 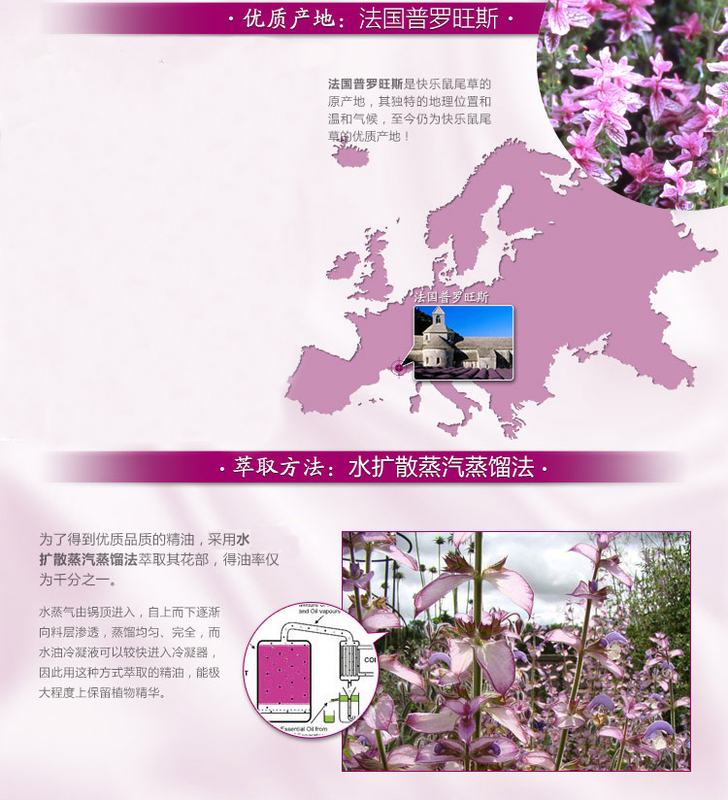 It is an herb, believed to be a native species of Europe, which has been highly praised as a medicinal plant throughout history, particularly owing to its numerous benefits for vision and eye health. Antidepressant: Clary Sage Oil can boost self esteem, confidence, hope and mental strength, thereby efficiently fighting depression. This can be very helpful for forms of depression due to failures in your career or personal life, insecurity, loneliness, stagnation, death of a friend or loved, and many other reasons. 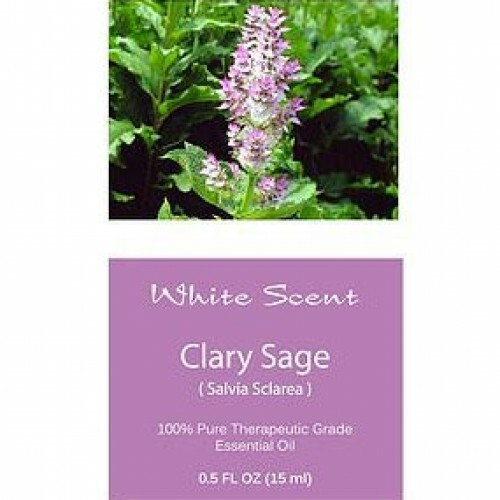 Clary Sage oil also relieves anxiety. As an antidepressant, it can be systematically administered to patients suffering from acute depression who are undergoing rehabilitation. Anticonvulsive: It calms down and reduces convulsions, whether their are epileptic or from some other nervous disorder or mental condition. 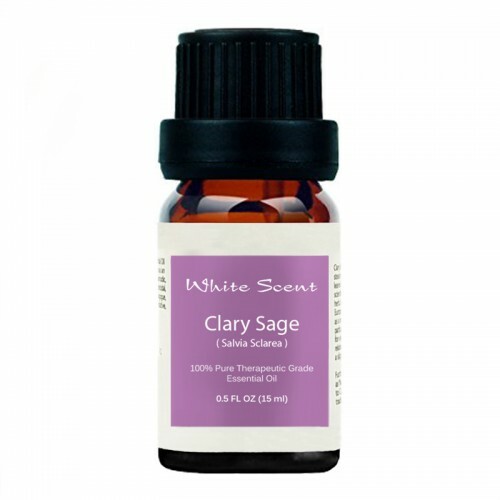 Clary Sage essential oil brings about peace of mind and acts as a sedative for tense nerves. Antispasmodic: Clary Sage oil is useful in the treatment of spasms and related ailments such as muscle cramps and respiratory system cramps, spasmodic coughs, stomachaches, headaches and spasmodic cholera. It relaxes the nerve impulses and doesn’t allow those uncontrollable spasms to occur. 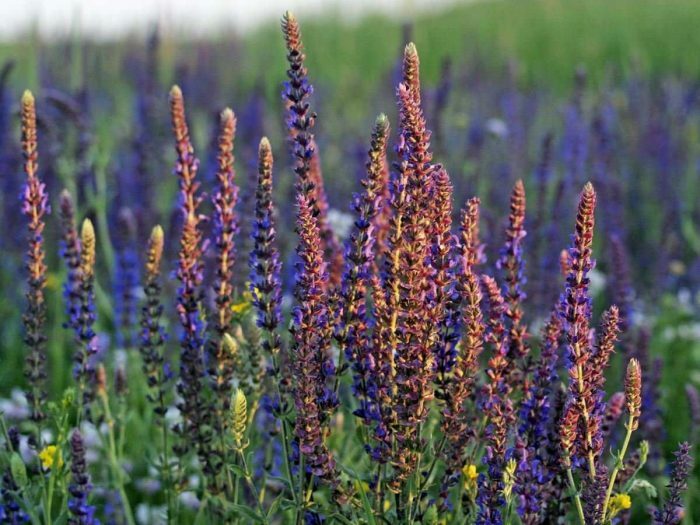 Aphrodisiac: This is one of the most well known properties of Clary Sage oil. It is an aphrodisiac, which means a substance or stimulus that boosts libido and feelings of sexual desire. It is very effective in treating frigidity, psychological problems resulting in loss of libido, and even impotency. Euphoric: Clary Sage oil can induce a feeling of immense joy, confidence, pleasure and high spirits and fill you with the desire to live your life to the fullest. This is why it is frequently used to cure depression or chronic stress and anxiety. 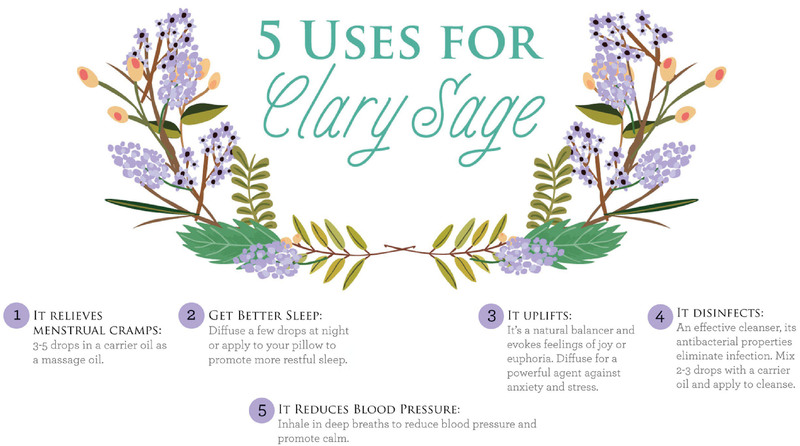 Nervine: Clary Sage essential oil is good for your nerves. It sedates nervous convulsions and other disorders such as nervousness, vertigo, anxiety, and hysteria. Sedative: Do you need to calm down? Do you want to concentrate? Or do you simply want to relax and have a good night’s sleep? Clary Sage oil can help you with all of these. It reduces inflammations and has an undeniably calming effect. 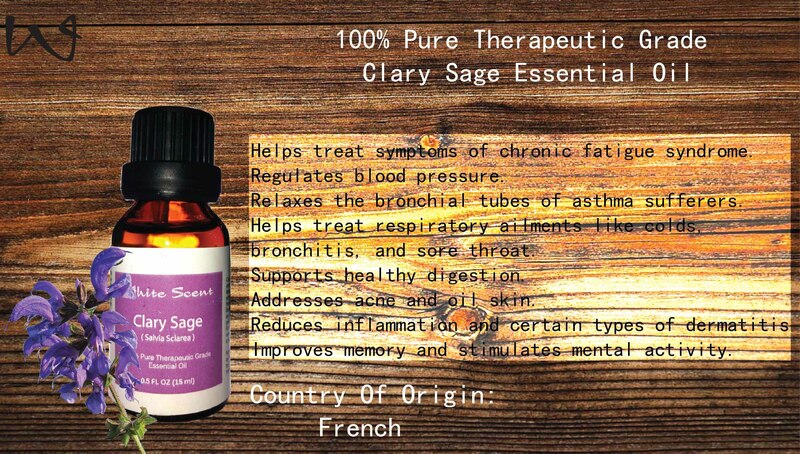 People suffering from chronic stress or anxiety disorders find great comfort in the use of Clary Sage essential oil. Stomachic: This oil also maintains the health of the stomach and regulates secretions of digestive juices. In this way, it prevents stomach disorders and helps to stimulate efficient absorption of nutrients and digestion of food, and regulation of bowel movements. It also helps the healing of ulcers and wounds in the stomach. By regulating bowel movements, it can also protect the integrity of your colon and reduce the changes of more serious gastrointestinal conditions, including colorectal cancer.Deodorant: Buying synthetic deodorants are not only expensive, but they also negatively impact the environment. Their pleasant smell effects also only last for a short time. Moreover, sometimes they produce irritations on skin and allergies. Clary Sage oil can be a far better choice as a deodorant, because in diluted form, it serves as an efficient deodorant without any side effects. It is natural, so it doesn’t impact the environment, and its effects can last for a long time. Digestive: Clary Sage essential oil promotes digestion and relieves symptoms of indigestion. It boosts the secretion of gastric juices and bile, thereby speeding up digestion and easing the process, which relieves cramping, bloating, and abdominal discomfort. 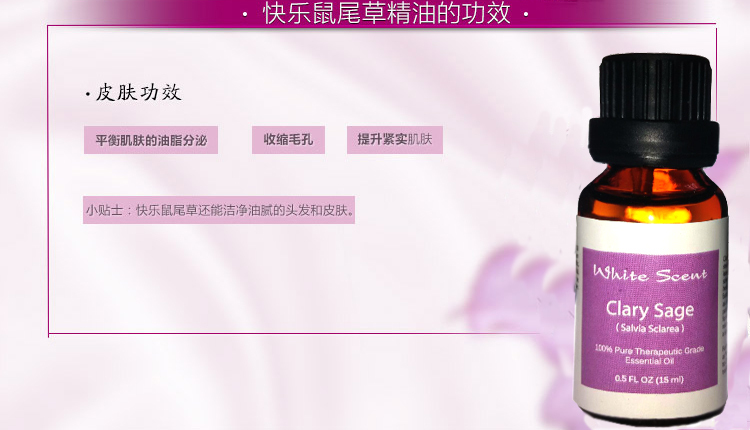 Uterine: Clary Sage oil helps to maintain good health of the uterus. It prevents some of the most common uterine problems that women have after menopause, including uterine tumors, bleeding, and pain. Furthermore, it regulates hormones like estrogen and ensures long-term health of the uterus, thereby reducing the chances of uterine and ovarian cancer.